Ballots were today drawn for the Freedom Day Regatta which will be held on the 7th April as part of the activities for Il-Festa l-Kbira, a major part of Valletta 2018’s programme. 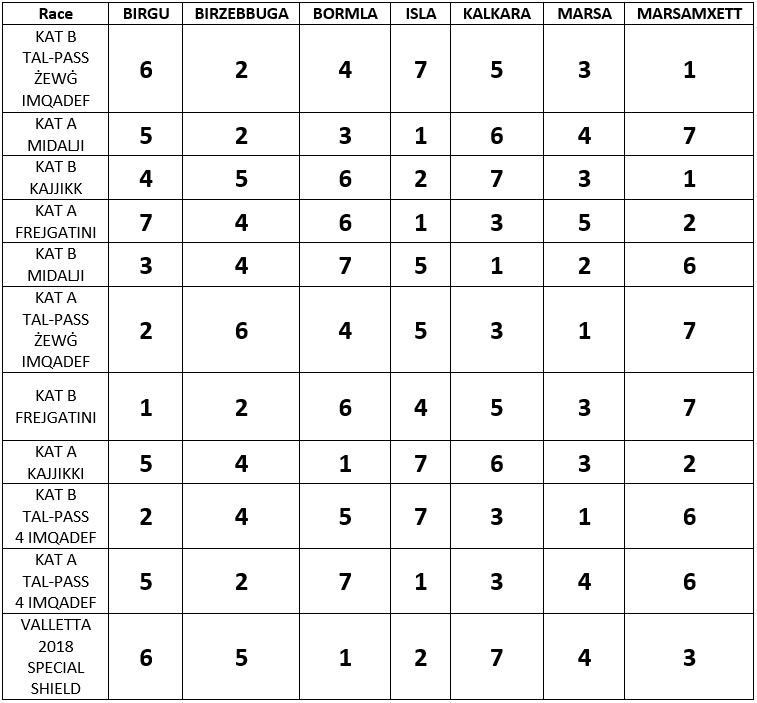 The Grand Harbour will once again offer the setting for this regatta, which 7 districts will participate in: Birgu, Birżebbuġa, Bormla, Senglea, Kalkara, Marsa and Marsamxett, who will be participating in 10 races in two different categories; A and B. This year, 120 rowers are expected to take part, with the addition of 25 substitutes, with a common aim – to win the Freedom Day regatta shield. This year, a special race for more than 40 regatta participants will be held, described as “Legends of the Grand Harbour”. This edition of the regatta will also include a special Valletta 2018 shield. “This year we will be having more than 40 participants competing for the Valletta 2018 shield. 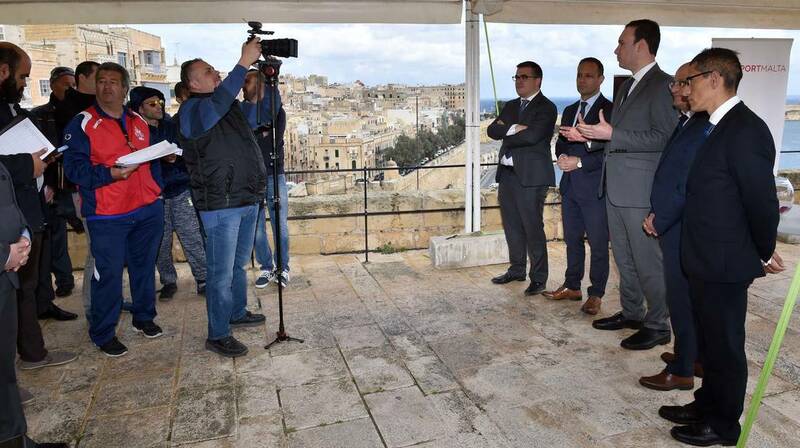 The 2018 edition of the regatta will remain loyal to the tradition us Maltese know and love, however, like various other events during this year, will evoke the spirit of Valletta 2018”, remarked Debattista. Valletta 2018 Foundation Chairman said “this regatta edition is a special activity a sit is tied to Il-Festa l-Kbira, a Valletta 2018 Foundation initiative, in which culture unites with the tradition of the regatta sport, and different organisations from Cottonera and Valletta working together”. Traditionally, the boats used are frejgatini, kajjikki, dgħajjes tal-pass and tal-midalji. These boats are also a live exhibition of skill which, as more time passes, is being lost. This is because these boats are also built in Malta. Originally, the boats had the same shape as those which were used everyday by the barklori, however by time some modifications were done for these to be used as racing boats.